Celebrating 150 years since their arrival in Australia as indentured labourers. The South Sea Islander Community and their friends gathered for a shared lunch together after the service - 17.2.13. The South Sea Islander Community and Friends from our Mackay Community shared a delicious light lunch together. Dorisina Penola is pictured saying a prayer that together we will strive to make our lives an offering of thanksgiving. Jeanette Morgan acknowledged the South Sea Islander Elders and their Contributions. The South Sea Islander Elders processed into the St Patrick's Church - 17.2.13. Procession of the Elders at the South Sea Islander Ecumenical Service - 17.2.13. Presentation of the Gifts at the South Sea Islander Ecumenical Service 17.2.13. George Christensen and Sr Margaret Graves at the South Sea Islander Ecumenical Service 17.2.13. The Lovely Frangipani Dancers at the South Sea Islander Ecumenical Service - 17.2.13. Fr Peter Tonti with members of the South Sea Islander Community - Ecumenical Service 17.2.13. Mackay Churches Together Break Up Lunch at the Chattaway's Cafe - Friday 30th November, 2012. 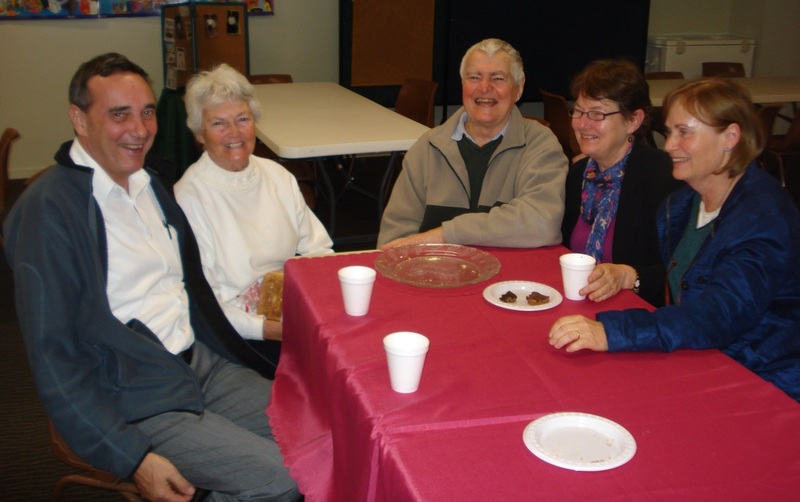 Members of MCT enjoying lunch and fellowship at the Northside Uniting Church. MCT Meeting and AGM - Friday 2nd November, 2012. Ps Tim Spark - Youth Pastor from the Mackay Christian Family Church enjoying a good old 'chat' with Ps Renier van der Klashorst from the Pioneer Community Church - Friday 2nd November, 2012 - MCT Meeting and AGM. Ps Renier is the new District Coordinator of Scripture Union. Martine Mahler, Rev Jan Whyte and Fr Peter Tonti enjoying lunch at the Northside Uniting Church MCT meeting and AGM - Friday 2nd November, 2012. Mackay Street Chaplaincy. First Training Session - Monday 22nd October, 2012. 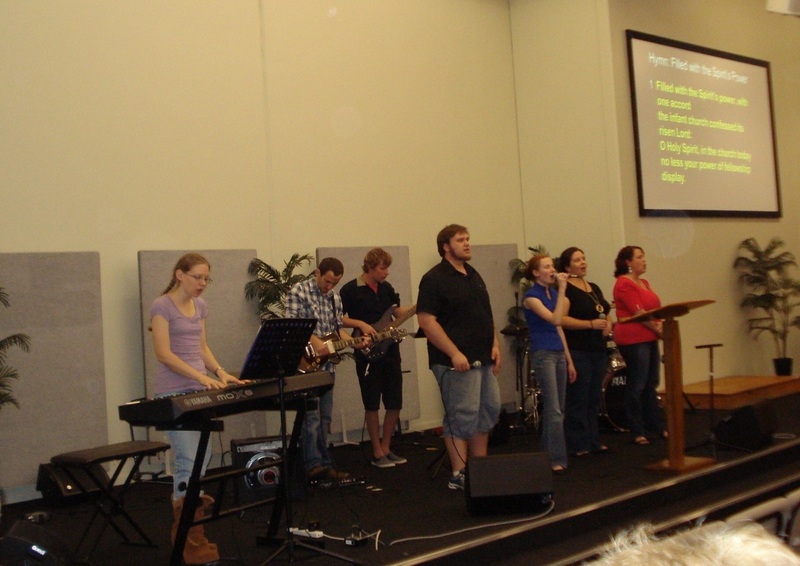 The Uniting Church singers and musicians led us in singing at the Pentecost Service 27.5.12. A feast was enjoyed by all at the Pentecost Service. 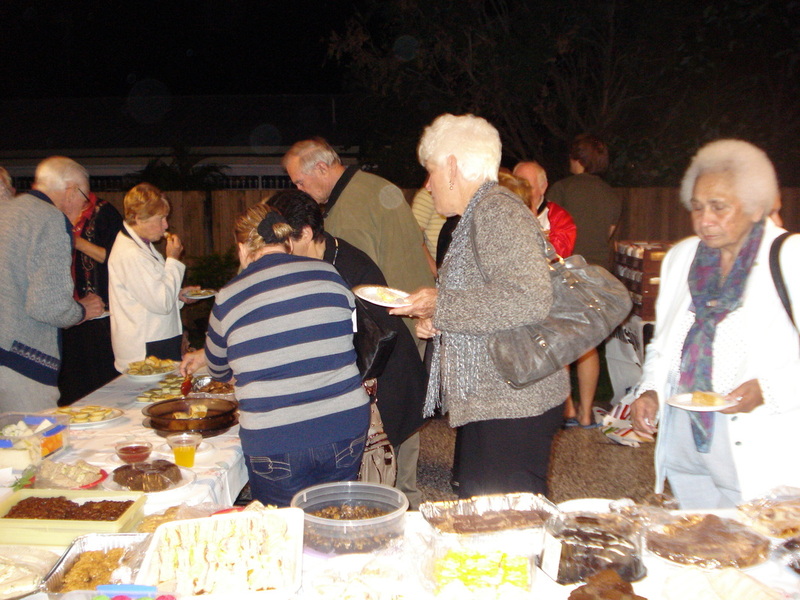 Thanks to the St Joseph's Ladies for catering for this event. St Joseph's participants have fun after the Pentecost Service. 27.5.12 Mackay Baptist Church - Many flags, one Body. Fr Peter, Margaret, Peter, Martine, Paula. Enjoying supper and a good old chat at the Pentecost Service.